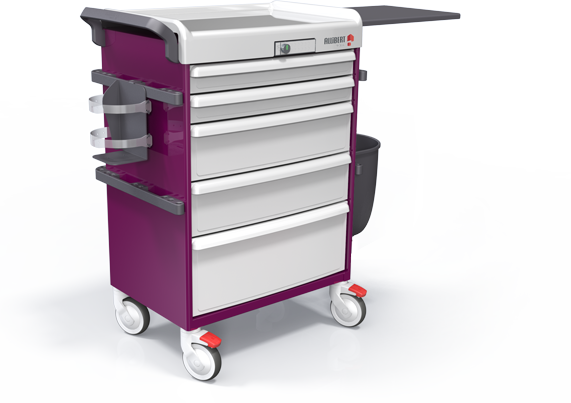 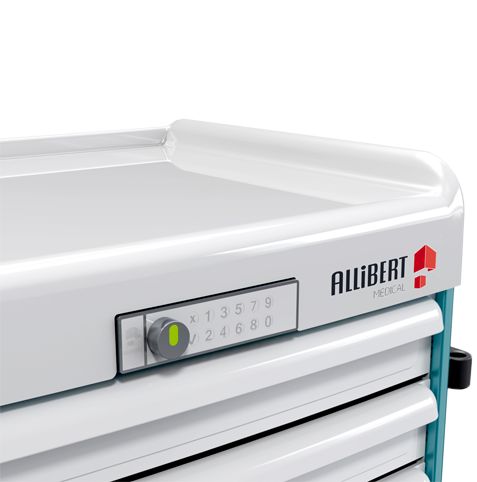 ALLIBERT MEDICAL selected aluminium for its range of hospital furniture. 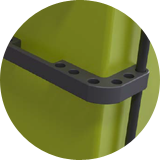 This material is the most abundant element in the earth’s crust. 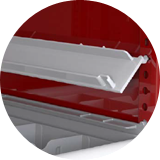 Aluminium is 30% lighter than steel and extremely resistant to corrosion. 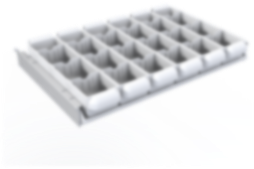 Indefinitely recycled without losing its characteristics, the Aluminium industry succeeded in reducing the intensity of emissions of greenhouse gases by more than 50%. 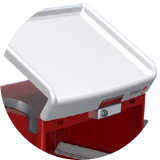 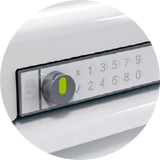 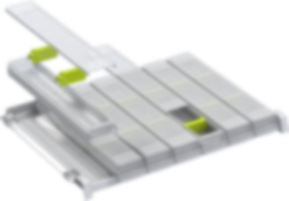 Thanks to the intelligent electronic keyless lock system, which allows track user activity, this option is one of the key elements of a safe and controlled storage and distribution of medicines. 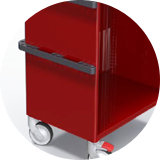 Thanks to our P20 concept, the optimisation and the reduction without loss of space is now very simple. 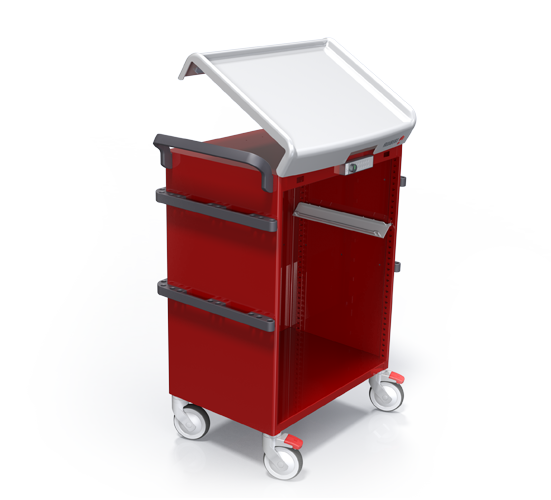 More hygiene than the internal walls, the removable runners are completely removable for an efficient decontamination process. 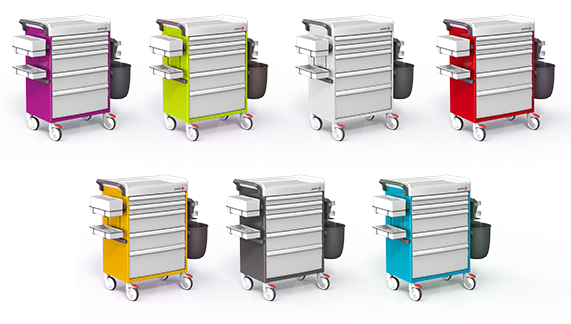 the possibility to allocate the hospital furniture per department. 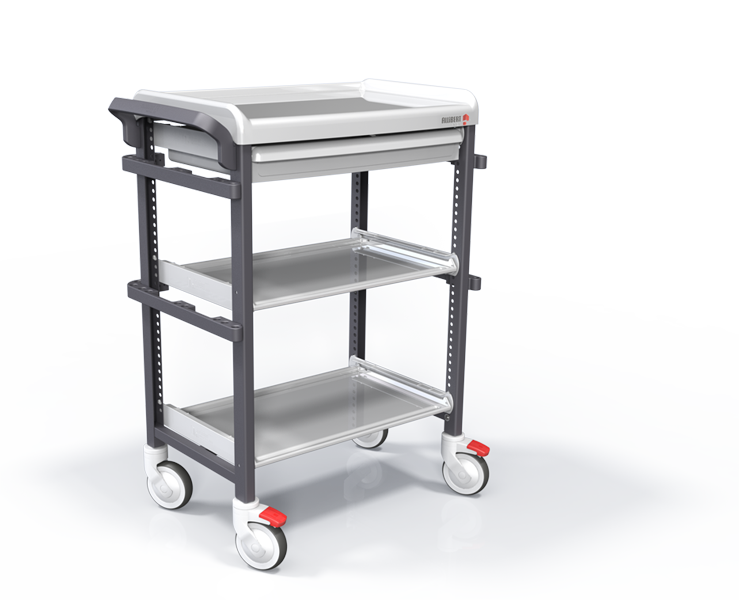 Allibert Medical develops and markets carts, cabinets and furniture arrangement safe and smart to all health facilities (hospitals, clinics, nursing homes ...) and for all healthcare areas (treatment room, technical facilities , reserves, emergency, operating room, patient room, dispensing of medications, care, storage areas) in order to secure the drug supply and ensure better traceability.